When the enormous scale of the invasion force became known, it was realised that many small craft operating off the landing beaches would not be equipped with a galley to prepare their own hot meals, or indeed any meals. The Landing Barge Kitchen was designed and developed to satisfy the anticipated demand. 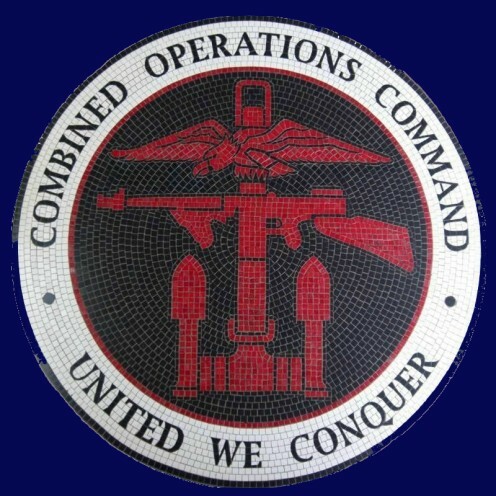 They had a capacity to provide 1,600 hot meals and 800 cold meals a day and operated like an amphibious fast food outlet with unlimited parking! 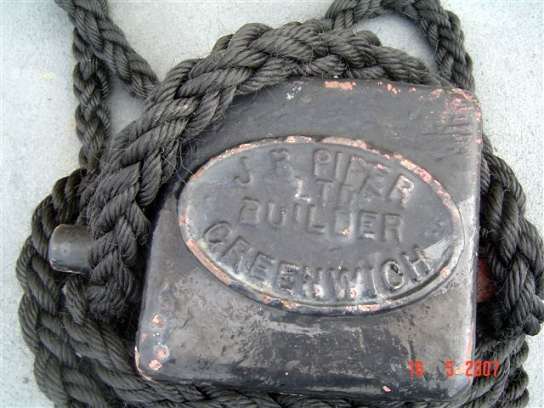 LBKs were constructed of steel with a hull of 79 feet long by 21 feet wide - the proportions and characteristics of Thames lighters, including flat bottoms and a shallow draft of only 3.5 feet. 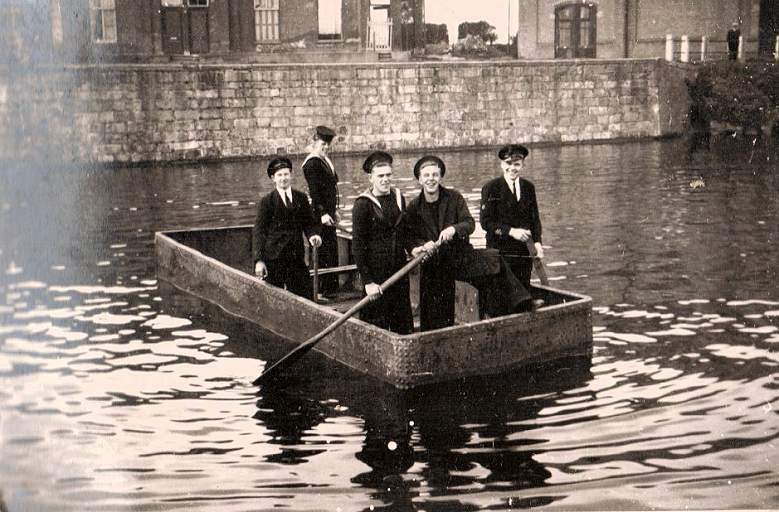 Unlike the lighters (or barges) the LBKs were fitted with engines, so could move independently. 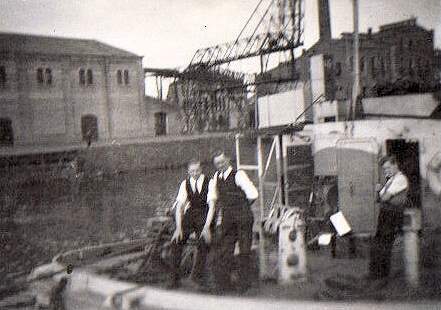 HM LBK 6 (His Majesty's Landing Barge Kitchen) was a barge that saw service off Sword beach. Below, we follow her story into the 21st century. Following her arrival off Normandy, LBK 6 stood off Sword beach as part of the 35th Supply and Repair Flotilla of 'U' Landing Barge Squadron. 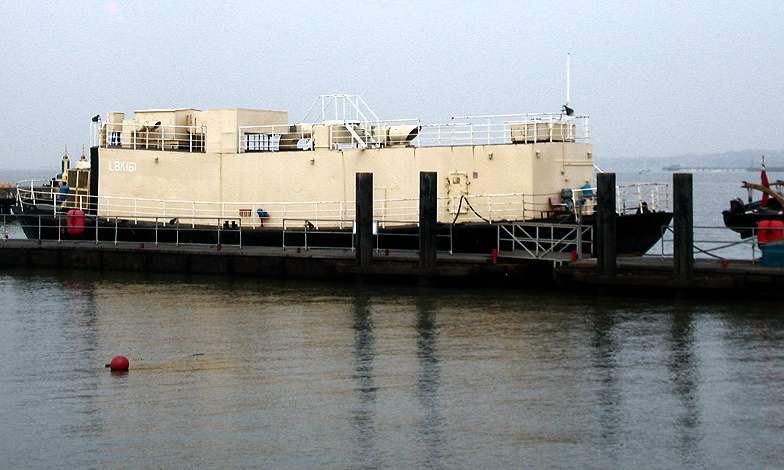 With her, also part of the 35th Flotilla, were other converted Thames barges of assorted designations, namely LBE or Landing Barge (Engineering), LBO or Landing Barge (Oiler) and LBW or Landing Barge (Water). 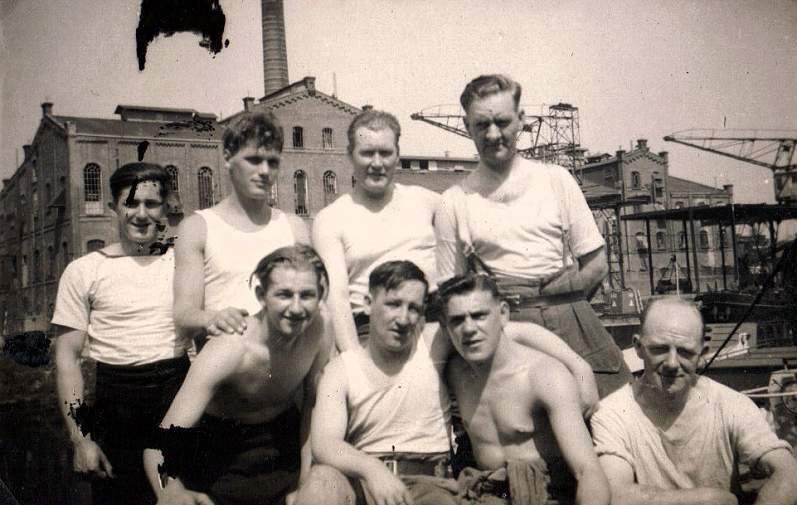 The 35 Supply & Repair Flotilla was part of Force 'S'. The Flotilla consisted of the trawler Damito, which had been converted to a fuel carrier, the minesweeping trawler Empyrean and Vindelicia, a trawler which had been converted to carry fuel but was acting as a tug. The rest of the Flotilla comprised emergency repair craft LCE 13, emergency repair barges LBEs 1, 7, 35, 40, 42 & 43; LBK 6; oiler barges LBOs 5, 12, 15, 25, 31, 42, 50, 51, 52, 85 and water barges LBWs 12 & 13. 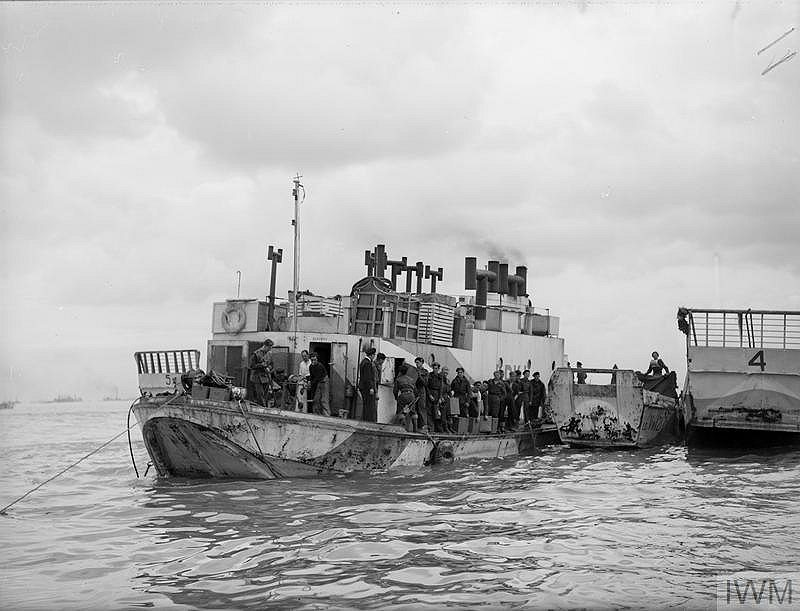 A further nine similar LBS & R (Landing Barge Supply and Repair) Flotillas operated in support of the Normandy Invasion. LBK 6 moved westwards and for some time also stood off Gold beach. 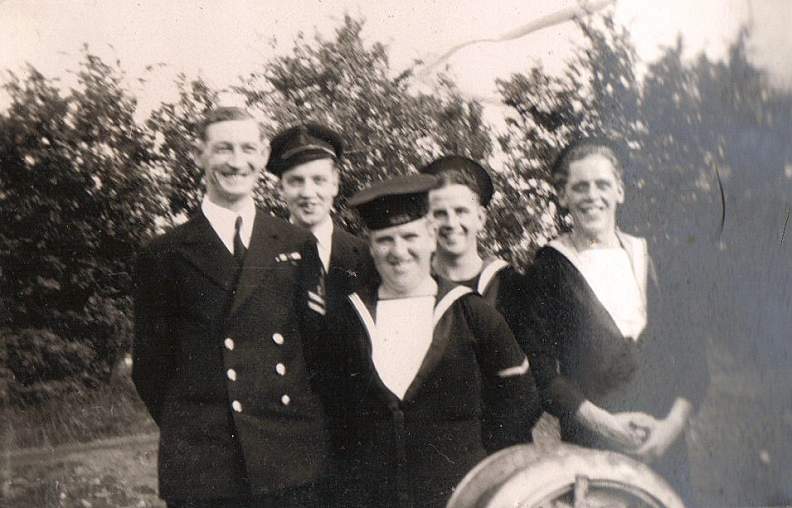 On July 24th, 1944, Admiral Ramsay went aboard and was photographed with her crew. In 1997, Tony Chapman of the LST and Landing Craft Association reminded crew member, Les Hinchliffe, of the occasion. Les was most surprised having completely forgotten that he had been in the presence of the great man! LBK 6 is believed to be the last surviving landing vessel, which saw service as a floating kitchen off the Normandy beachheads in 1944. The vessel was built as a steel 'swim' barge in 1944, with a deadweight of about 150 tons. The hold was approximately 50ft long by 16ft wide. Similar kitchen conversions were carried out on a further nine vessels, each with a storage capacity to feed 900 men for one week. 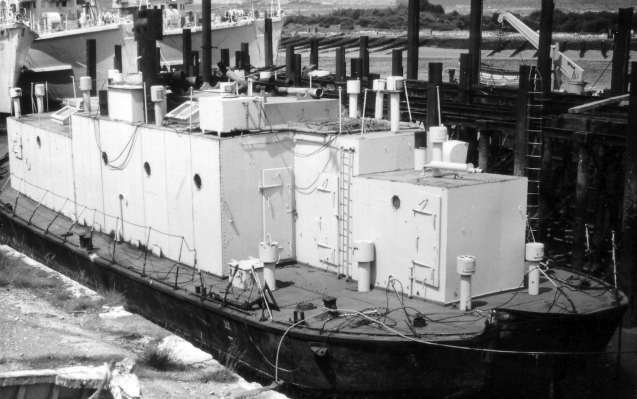 Other barges were converted to oil, water and engineering barges to cater for the varied requirements of the invasion fleet. Four ovens were installed aft of a kitchen space with stores for bulk and perishable goods forward. A ten ton fresh water tank was fitted in the hold with additional fresh, seawater and diesel tanks on the accommodation roof. In the after section of the hull were two Chrysler petrol engines, separated by a diesel tank. The engines developed a total of 130bhp producing a speed of 6 knots. The estimated endurance was 300 miles at 5 knots on 600 gallons of petrol carried in tanks fitted in the after peak. 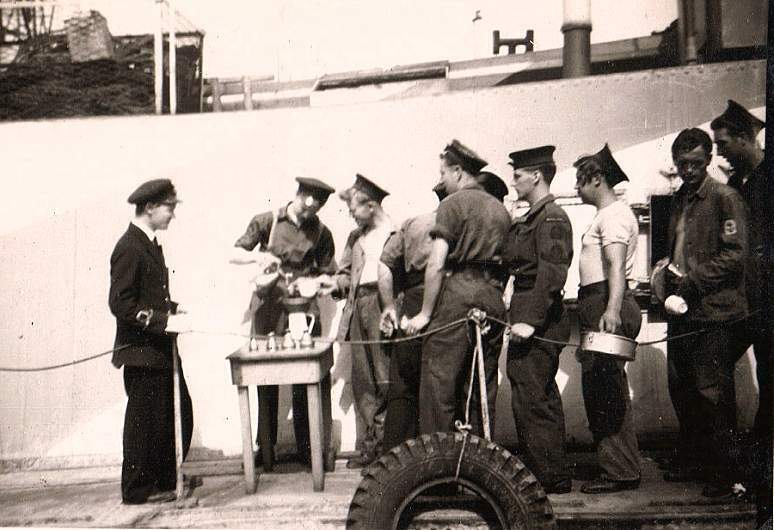 A toilet and coal storage were provided in the forepeak, while at deck level aft was the steering shelter which, along with the various fuel tanks, was provided with 2.5" plastic armour. The middle section of the deckhouse above the galley was the 'servery' area with accommodation for the one officer, aft, over the engines, and accommodation for the 24 man crew, forward over the storage areas. In September 1946, LBK 6 was at Chatham where she continued to serve as a floating galley for ships in the dockyard. 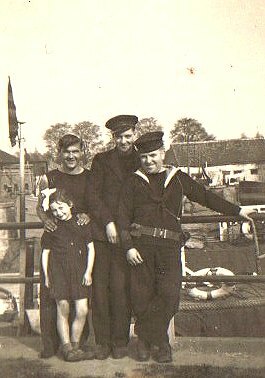 By 1948, she was classed as a Servicing Craft (Civilian), operating under control of the Captain of the Dockyard's Department. In July 1951, the hull was surveyed and given an expected life of 13 years; at the same time it was reported that the engines had been removed. 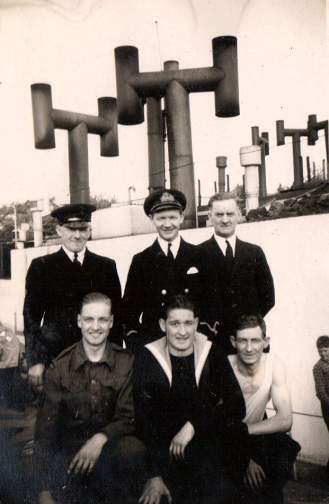 Two years later, she was listed under the Captain of the Dockyard's Department, Chatham until December 1957 when the barge was absorbed into the newly formed Port Auxiliary Service. 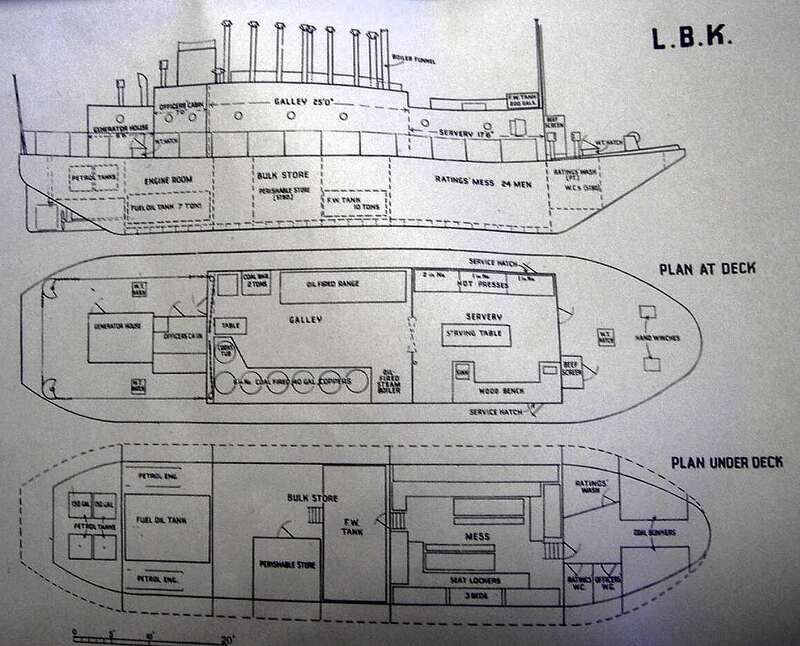 LBK 6 was modernised in 1957 and continued to serve as a galley for ships under refit. In September/October 1961, she was docked for essential repairs, including a tank clean followed the next month by emergency repairs. Approval was given on 24 April, 1963, to dispose of the barge and Portsmouth was formally advised of this in September 1963. It was found that LBK 6 was a suitable replacement for YC 3029 or YC 3030, formerly LBK 1 and LBK 3 respectively. Approval to transfer to Portsmouth was given on 14 Oct, 1963 and LBK 6 was ready for tow by 5 Nov. The tug Bustler left Sheerness with LBK 6 in tow on 13 November 1963, arriving at Portsmouth the following day. A refit was required before LBK 6 could replace YC 3030. In late 1964, the refit and quadrennial survey were carried out at Portsmouth. 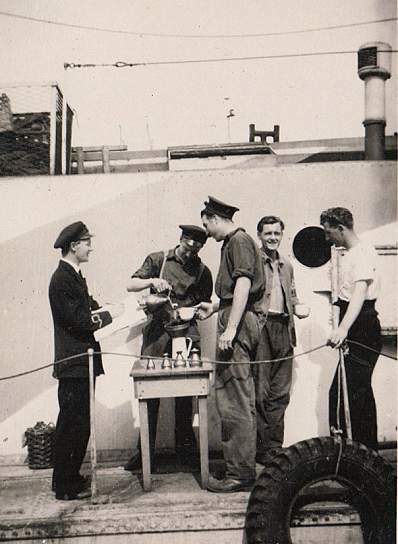 In 1965, the crew complement was increased by one stoker and facilities were further improved as LBK 6 continued to provide food for ships in refit. 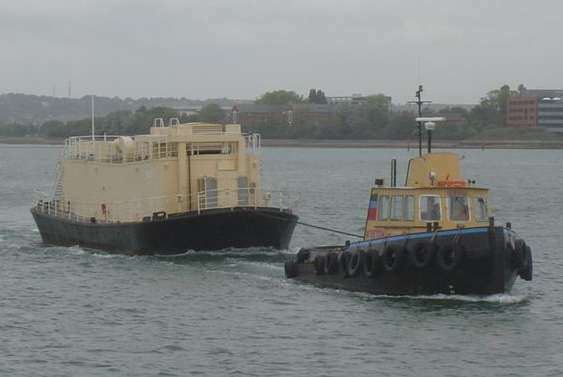 On May 10th, 2007, under tow by a marine tug out of Itchen, LBK 6's destination was believed to be Babcocks at Southampton for disposal. That didn't happen! 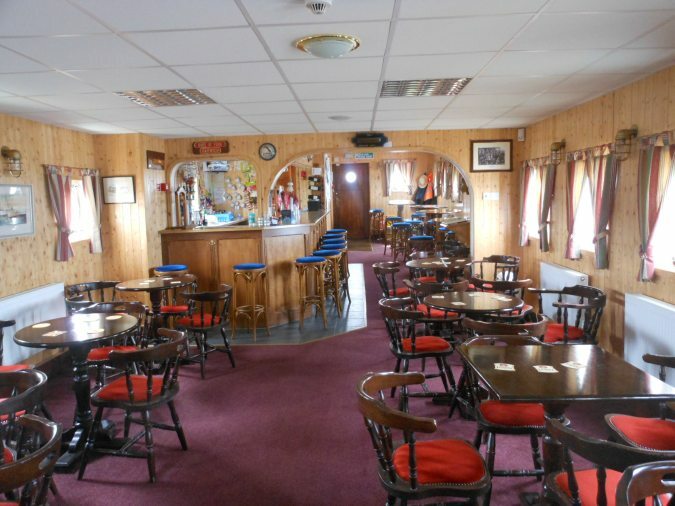 She was given a new role as the clubhouse of the Harwich and Dovercourt Sailing Club. 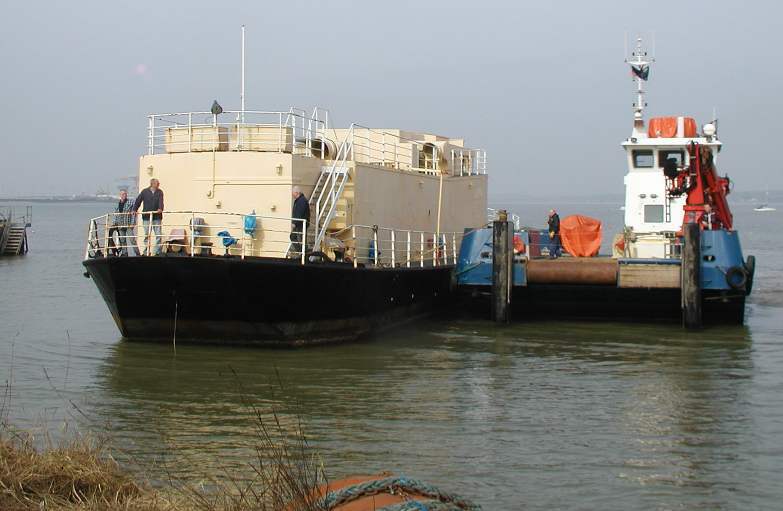 These photos show her arrival at Harwich on April 2nd 2008 - the first opposite the harbour master's pontoon and the second on her new mooring quay at the club by the HHA workboat Hornbill. 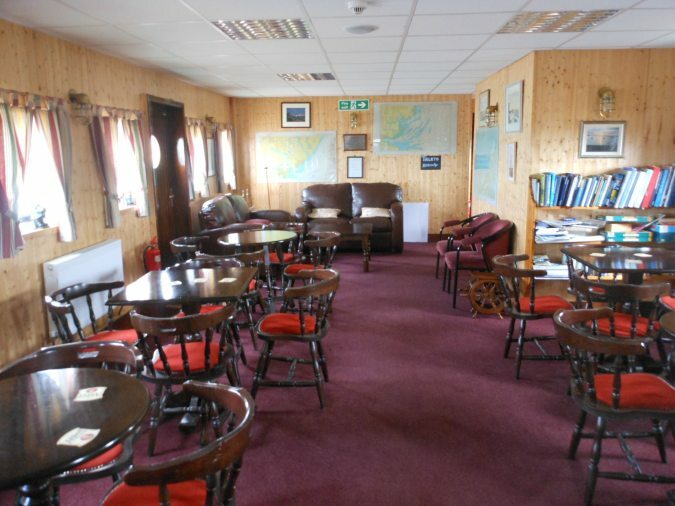 Whilst serving as their clubhouse, the sailing club hope to incorporate some of her history, thus making her a public attraction as well. LBK 6 is the ultimate survivor of her class. Five years after the Harwich & Dovercourt Sailing Club took delivery of LBK 6, their planned conversion was completed. Rear Commodore Shirley Constable explained, "It has been a long hard road, but as well as being our Clubhouse, LBK 6 will also serve as a memorial to all the landing barges and the men who sailed on them, that took part in Operation Overlord, which started with the D-Day landings on June 6, 1944." A Remembrance Service was held on the 69th anniversary of D-Day on June 6th 2013. Representatives from the service organisations, veterans, their families and friends assembled on the lower deck (function room), which was very ably opened by D Day veteran Ron Smith (photo opposite), a member of the LST & Landing Craft Association. 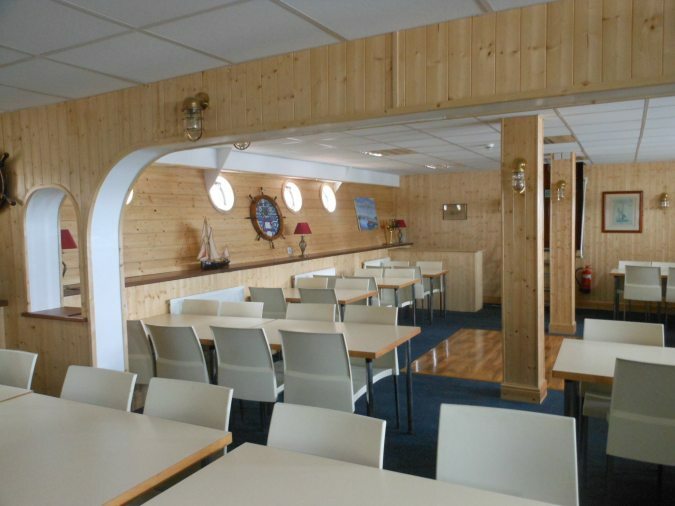 The lower deck is now officially known as "The Normandy Room" as a tribute to those ships and men, whose destiny it was to sail to Normandy that fateful day, amongst which was, of course, LBK6. This 70th Anniversary year, we are again holding a Commemoration event and hope to welcome all service veterans from whatever field, who cannot make it to Normandy, plus their family and friends. The programme starts around 11.00 am with coffee and biscuits, followed by a gentle short parade with pipe band at around 11.30 am. Lunch and a few "goodies", provided by the club, will draw the proceedings to an end. To help with the organisation of the event, anyone wishing to attend should please e-mail the Harwich and Dovercourt Sailing Club in the first instance. The Club is located at: Gas House Creek, Harwich, Essex. Following the conversion the exterior is unchanged, with the same deck furniture and 'LBK 6' on her superstructure. However, the interior has witnessed an amazing transformation as the photos above illustrate. As far as is known LBK 6 was, until May 10th 2007, the last surviving Thames barge converted for service during WW2. Prior to joining HM LBK 6, myself and others were billeted on Hayling Island at Havant, Hampshire, England. HM LBK 6 was brought to us from London, as confirmed by a veteran who had ferried numerous Thames barges to Hampshire. 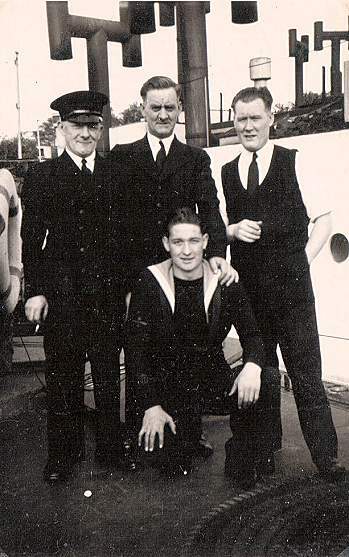 He himself served aboard HM LBK 10. 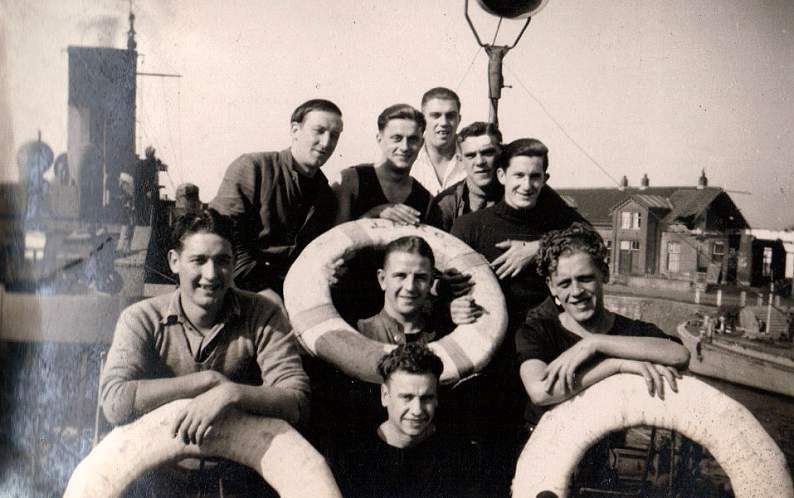 Our Normandy crew were the first to board her but the precise date escapes me. 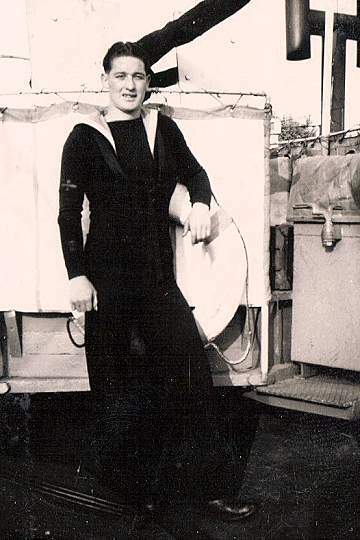 Our commanding officer was Sub Lt Smillie, a Londoner. On June 4th he told us that we were to be part of an invasion force to be landed on the 5th June, later to become June 6 because of a delay due to bad weather. HMLBK 6 was about 79 feet long by 21 feet wide at her bows. She had four ovens aft of her kitchen space, storage for bulk and perishable goods forward, a ten ton fresh water storage tank housed in the hold with additional fresh and sea water tanks on the accommodation roof. She could hold sufficient provisions to feed 900 men for a week. In the after section of the hull two Chrysler petrol engines gave her a speed of six knots. At her forepeak were two toilets or ‘heads’ which were emptied by her crew. 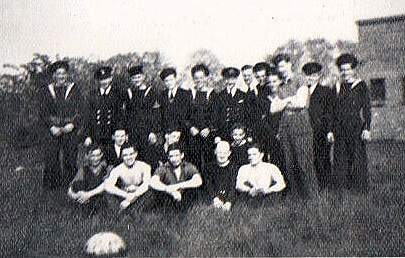 Our crew complement was 24 men, including our commanding officer. 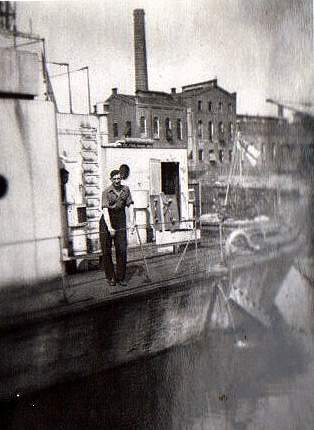 His quarters were aft above the engine room and the crew quarters were forward above the storage areas. Our Coxswain whose name escapes me. 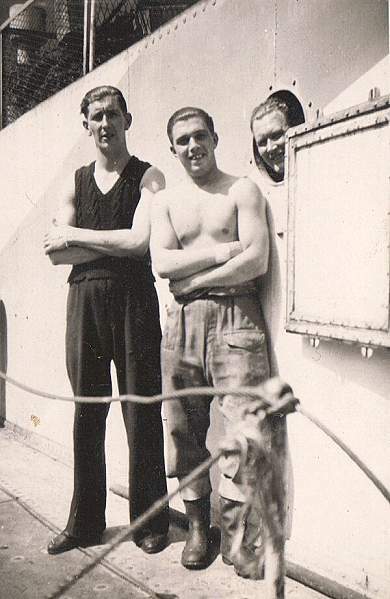 He came from London and in civilian life he was a "lighter-man" working on the Thames barges... the very same craft he found himself serving with in Normandy... and myself of course. As I sit writing this in November of 1995, I am aware that HMLBK 6 is still going strong and still feeding Royal Navy personnel in Portsmouth. The photos below were provided courtesy of Peter Booth, son of ‘Jack Dusty’, Fred Booth of LBK 6. 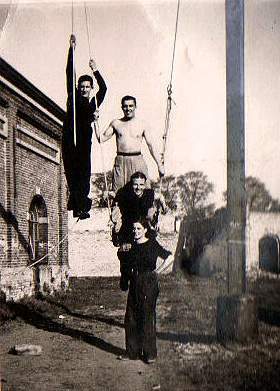 They are of crew members taken in Sas van Gent, a small coastal town in Zeeland, Holland in May/June 1945. Where names are given they read from back row to front row and left to right. Given her presence in Normandy in 1944, the Harwich and Dovercourt Sailing Club held a remembrance service on D-Day the 6th of June, 2009, with HMLBK 6 as the focal point flying the White Ensign. Members of the local area Royal Navy and Merchant Navy Associations were present as well as members of the Royal British Legion and veterans from the LST and Landing Craft Association. I hope you are well and still tending the website. 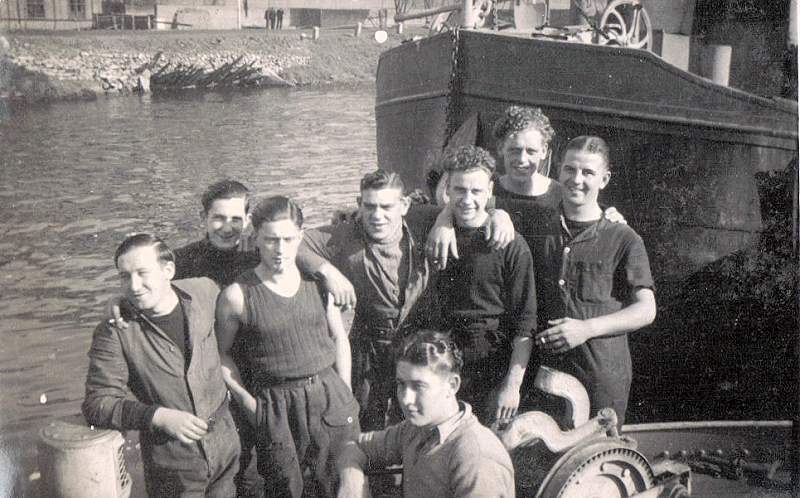 This is just an update on LBK6 for visitors to your website with an interest in WW2 landing craft. 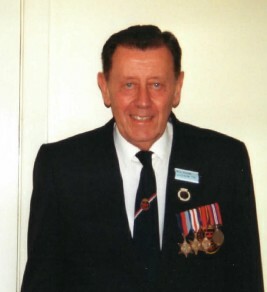 Fred Booth (Jack Dusty), the last surviving crew member of LBK6 who sailed with her to the landing beaches, was presented with the Legion d'Honneur by the French ambassador in a ceremony at Walsall town Hall. Ron Smith, another of LBK6's 'friends', was also presented with the same honour at Shoreham. Both so richly deserved this honour. 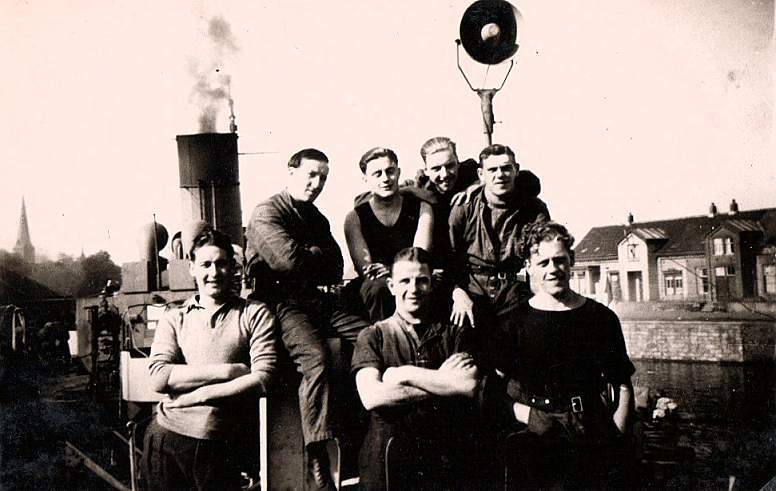 Fred only left LBK6 when she docked in Rotterdam with provisions to help the resistance feed the starving people of Rotterdam. LBK6, herself, has had a bit of a facelift. Her upper deck was shot blasted last season, thoroughly sealed and new handrails fitted. This coming season, the plan is to undertake similar work on the main deck. Portholes are in the process of being resealed to keep her weather tight. Work is always ongoing on the interior. It's a fairly slow process, as some of the work is being done by the members to keep the cost down. Her topsides will also be done this year, if it stops raining long enough! 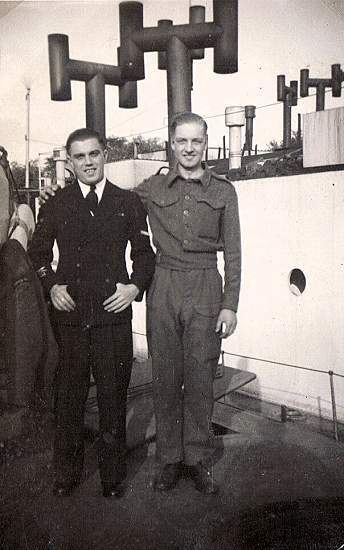 Able Seaman Les Hinchliffe's recollections were transcribed by Tony Chapman, Archivist/Historian of the LST and Landing Craft Association (Royal Navy). Thanks to John Wardale for sending in the photos of LBK 6 leaving Southampton.